This game is awesome. I want to write more on it but I'm too busy playing it. Thank you Turn 10 for giving the wingless option. Now I can turn a 22B into a replica of my car when it was tarmac prepared. 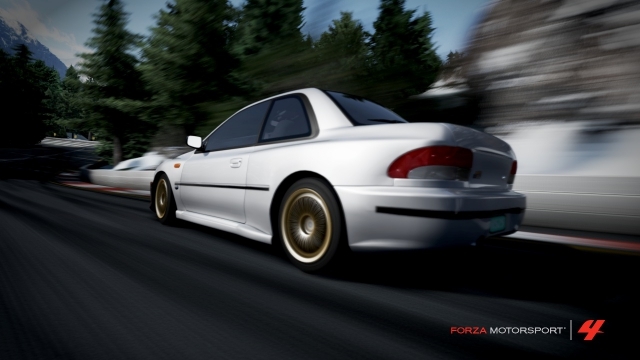 That's the original photo straight off of Forzamotorsport.net, I just resized it. Because I probably have too much free time I did a little post processing. All I did was adjust the lighting levels and added a mild unsharpen filter. The graphics on this game are pretty damn good if I do say so myself.